During rainy season in Cambodia our showers are fast and violent. It will rarely rain for hours on end, but usually strong weather systems move across Cambodia rapidly. They are often preceded by violent wind storms; many which whip up micro-tornadoes. Our Kracheh children’s center was hit by a micro-tornado a few years ago and it was a miracle that no one was killed or injured, though many musical instruments were destroyed and buildings damaged. This weekend as I was driving up to Kracheh there was another micro-tornado that hit along one of the main roads I was traveling on. The storms appear quickly and violently and within a minute they disappear. 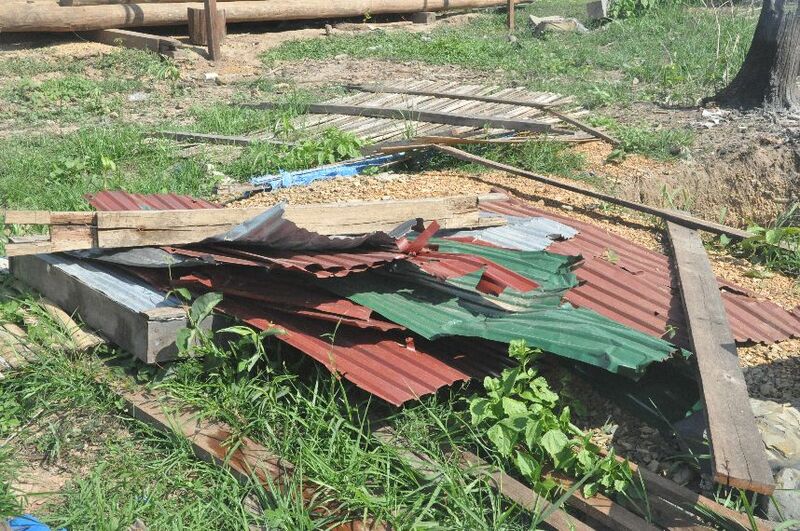 This micro-tornado caused unbelievable damage to a traditional Cambodian wood house in seconds. The foundation of the building was made from concrete pillars with a large hardwood top floor and a very heavy cement tile roof. In a matter of a second the once beautiful home was completely demolished as if it was hit by a bomb. Even the concrete pillars were shattered. It is not even recognizable as a house anymore. Unfortunately, the owner of the house broke his back when the home collapsed. In February I was visiting the homes of two of the girls at our Kracheh center, Chantha and Chanthy. As I was leaving I snapped a picture of their home in the village. A few weeks later, it too was demolished by a micro-tornado. Why such terrible storms? 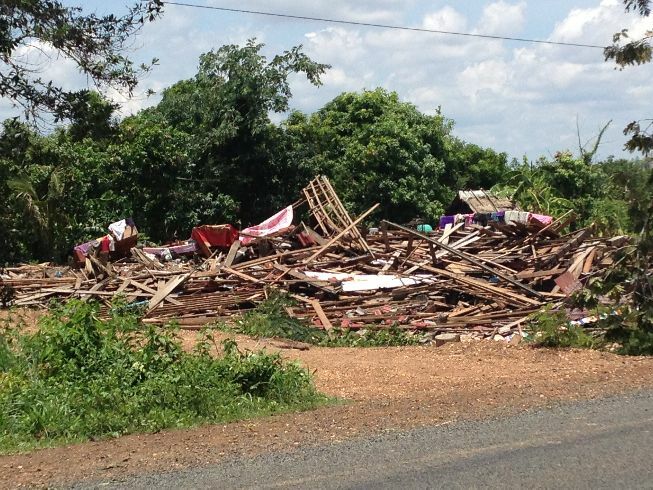 Well, Cambodia has always have very violent wind storms, however, the massive deforestation in what was once a area thick with jungle only ten years ago. Now, there are only a few small trees remaining. The temperature seems much hotter and also the winds seem stronger as well. When the micro-tornado hit, the mother, two daughters and their new baby brother were inside the house. The little baby is a special promise baby, named Pirum. 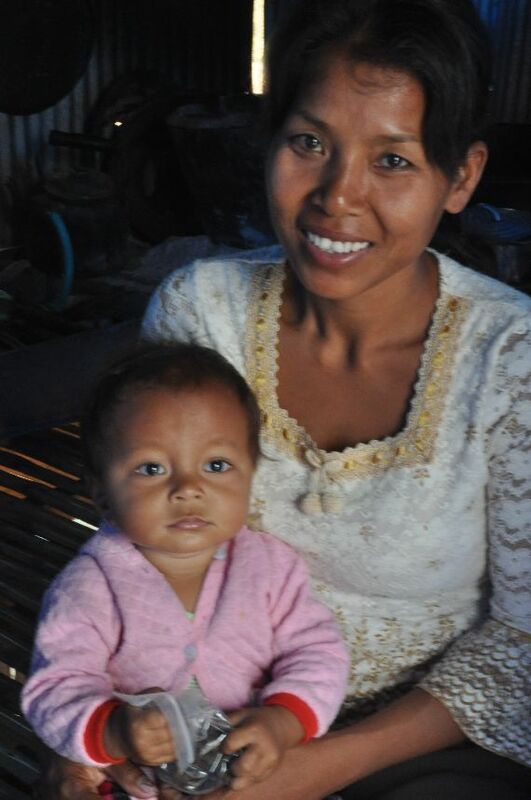 Her mother, Khon, had three abortions and after counseling she prayed that God would give her one more child, specifically a son. During the storm, the door was ripped off first and one of the daughters said she wanted to go and try to hold the door. Her mother believes, if they didn’t stay huddled together that one or more of her children would have been killed. Her two oldest girls were both injured when the house collapsed. The roof beams hit them in the head when the whole house came crashing down about twenty feet from where it previously stood. The neighbors were hit almost as hard, though did not have complete destruction of their homes. 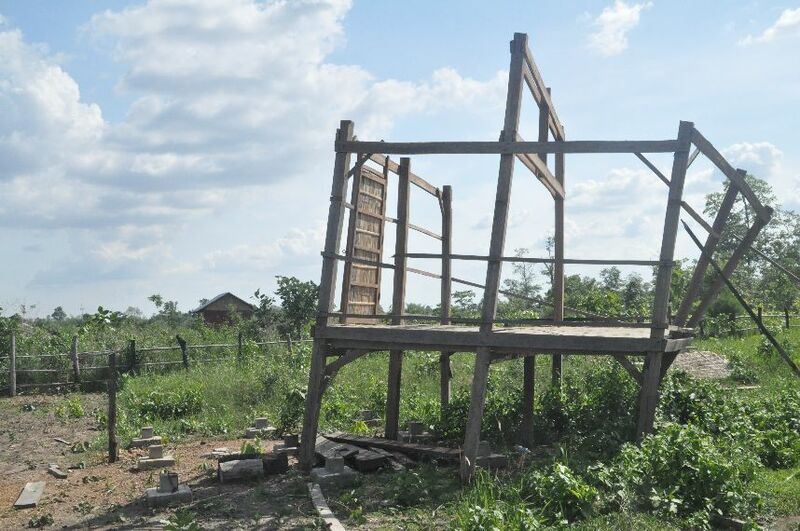 One neighbor’s uncompleted home, with no roof or walls, was even thrown nearly 3 feet off its foundation. It is amazing to think that just the wind moved solid hardwood beams into the air like that with no walls or roof to create a larger surface area. It will have to be dismantled and rebuilt back on the foundation. The other neighbor’s house was flipped upside down with the long-legged stilts facing to the sky. When I took this picture they had just re-righted the home after removing the walls and roof. The neighbor was not home when the storm hit. 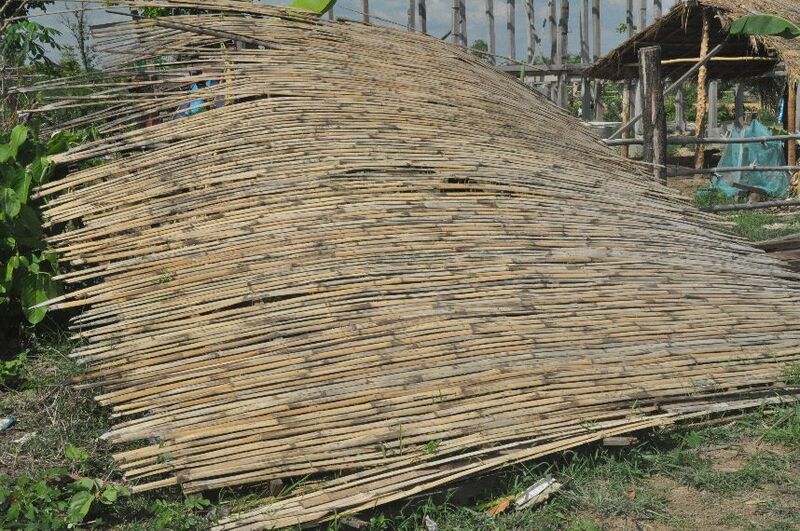 The government sent out a quick response team, however, the only thing useful they brought was a 20kg sack of rice. All of their rice was destroyed by the rain water. The two bottles of soy sauce that was donated was not that helpful, nor were they given any supplies to help fix the house. 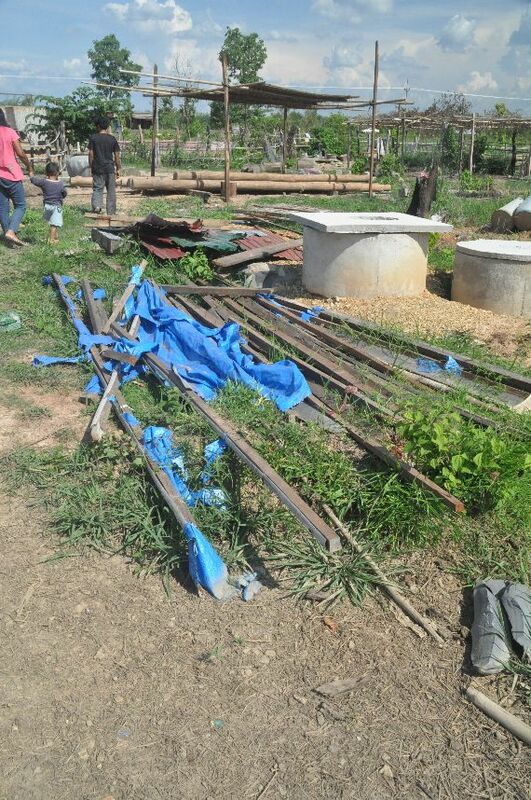 They hope to re-build the house as soon as possible because it is now raining and they are living under a tarp since the micro-tornado. 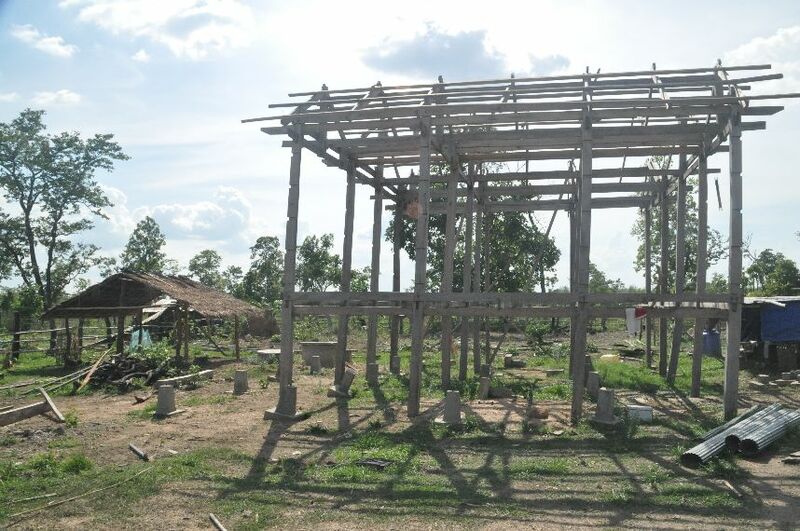 I have promised to help them with a new galvanized roof sheets once the new house frame is completed. Did God send a micro-tornado? Well, it is always sad to me when I hear of disasters in America and I hear people saying, “Why did God do this to me?” I can guarantee you that God did not do that. We know clearly from the Bible that while God could send a wind storm, as he is all-powerful, he certainly would not harm his children. Two significant stories in the Bible involving wind are the wind at the Red Sea and the wind on Galilee Lake. On the shores of the Red Sea the Hebrew people faced certain death until God sent a wind to separate the sea and the people were saved from the Egyptian pharaoh (Exodus 14). In the New Testament, Jesus calmed a wind storm that so scared the disciples that they thought they would die (Mark 4:35-40). 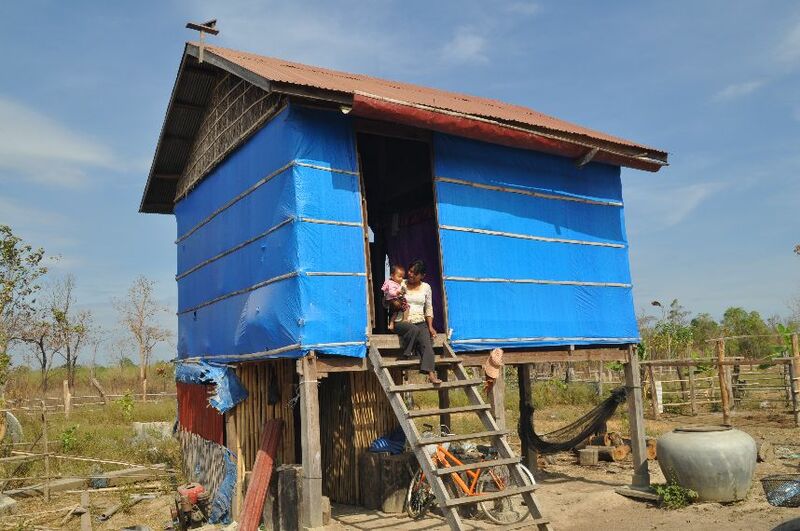 While Jesus could certainly use wind to enact some divine justice, to hurt this poor Cambodian families is unlike his loving character. Jesus loves us. Satan, however, would be glad to send a wind storm. Satan is a lover of destruction and death (John 10:10). While we can do little to stop or prevent a micro-tornado, we can respond to the crisis. We can love people. We can share what we have with those who have lost everything. I believe that through our response, and through the faithfulness of this beautiful family who is struggling to serve God, Christ Jesus will be glorified. 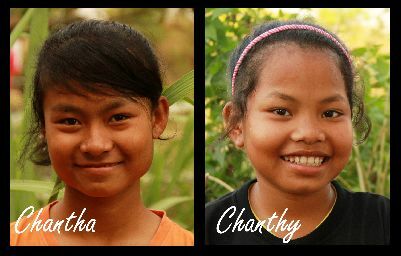 In this village, Chantha and Chanthy’s family is the only Christian one. I know that God will use this terrible disaster for good and soon the village will know even more about the love of God. Oh my. How tragic. Praise God for your compassion for the people who have lost everything in the storm. Thankyou Steve for being Jesus to this family. Are any funds set up for this sort of thing to help with building supplies? We don’t have a specific fund, but any individual who wants to help is certainly appreciated. Stairway Church has an account they send funds to us from for those who wish to give from Australia. Craig Petty has the details.